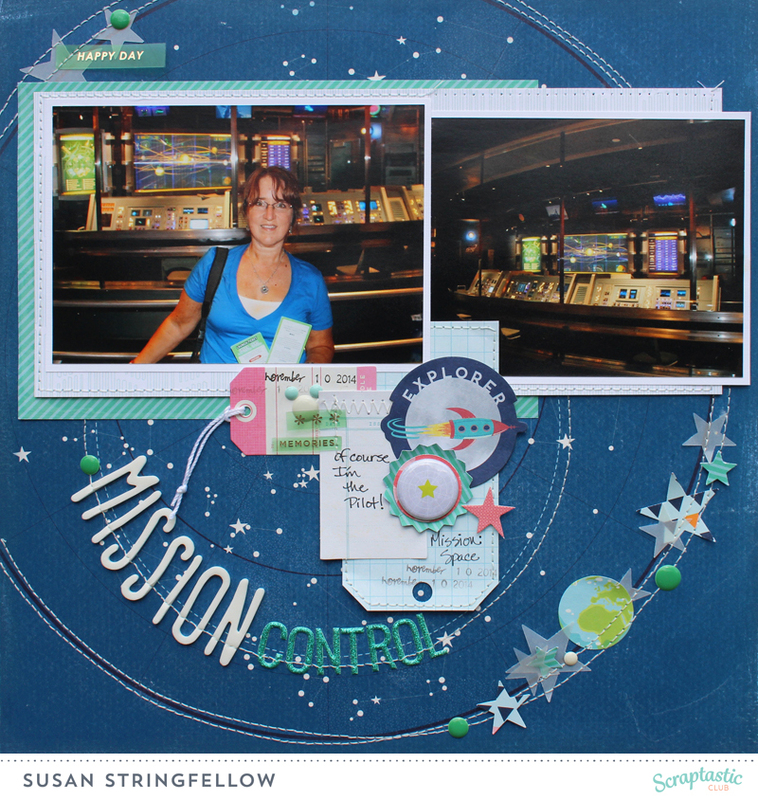 The Scraptastic Club Drops of Jupiter kit this month has this fun background paper with star chart designs so I used it to scrap a crazy looking photo of me in the Mission Space queue at EPCOT. 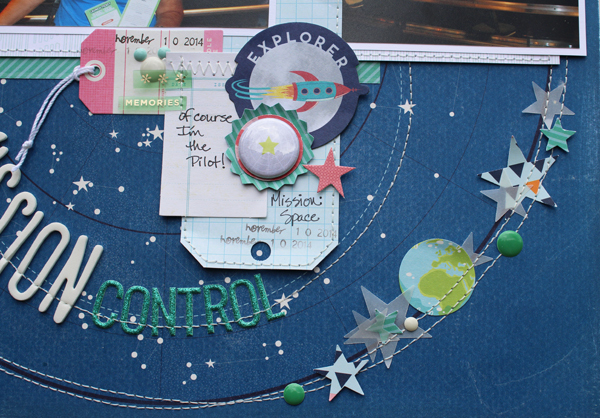 I wanted to work with the circles in the design so I added stars that I punched from patterned paper scraps and vellum from my stash. I also used the great sticker alphas over one of the rings of the design to create my title.